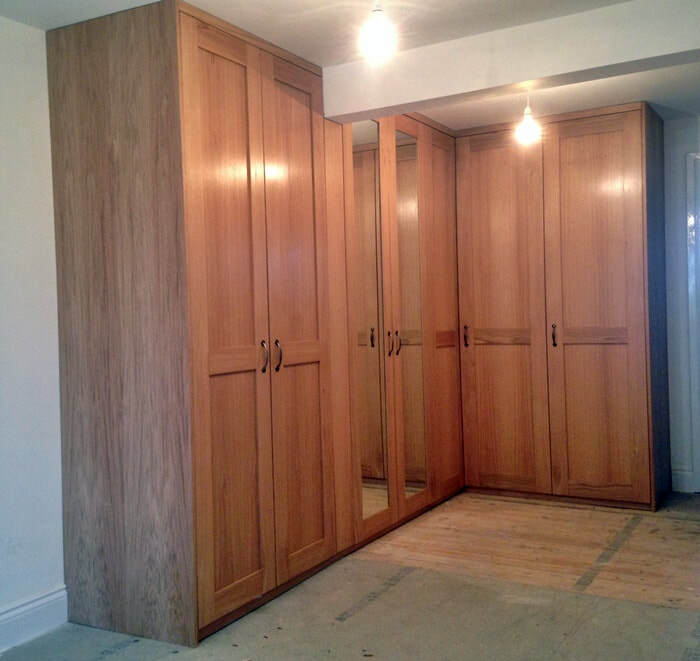 7 door oak veneered shaker style doors in a corner set up finished in a satin clear lacquer. Built around a main beam with 2 doors mirrored. Interiors including pull out shoe drawers, drawers , adjustable shelves and desk area. All doors and drawers have soft closers. 2400mm high x 3100mm wide x 1500mm wide x 600mm deep.